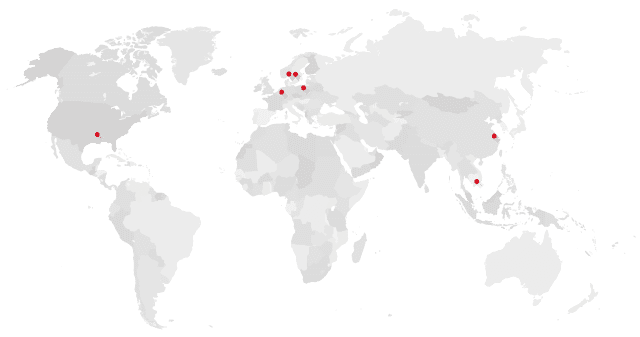 LOXY supplies to 27 different countries, offering customer service, sales and technical support. Our international and professional team of representatives speaking more than 15 languages, is located throughout Europe, Asia, South-America, South Pacific, USA and Canada. In addition, we have warehouses strategically placed in the most important industrial corners of the world to provide our customers with fast and convenient deliveries. Do not hesitate to contact either us or our trusted agents for information about our products.